Great group shot of the Pinnacle Rehab Network crew (including some from here at Portsmouth Physical Therapy!) after finishing their Dry Needling 2 and achieving Certifications in Dry Needling recently! 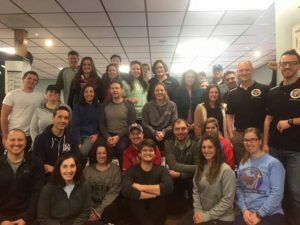 PPT, and Pinnacle as a whole, has progressed over the years to become a well respected leader in physical therapy and it’s with courses such as this, which further display our commitment to clinical excellence through education.